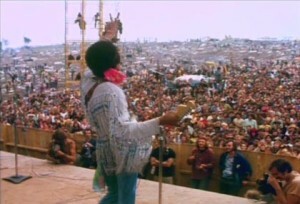 Kindle version of From Woodstock to Eternity 50th Anniversary is coming soon! Yes, I am working on the Kindle for my new 50th edition of From Woodstock to Eternity. I know it may be confusing, but I left the original, unabridged version of FWTE on the Amazon site in order to keep the reviews from the old version. The new version is the same story, but it has undergone a complete editing and polishing process that makes it a much better read with some added stuff. Why a 50th Anniversary Edition? For those who weren’t there, never thought they would live this long, or are too young to know about it, the 50th Anniversary of the Woodstock Festival in 1969 is coming up next year in August 2019. There will be a lot of attention given to this landmark event, because it played such a big part in defining an ideology that created a counter culture that still has an impact on us today. What is From Woodstock to Eternity about? This book gives an eye witness, “you are there” journey through the wild, fuzzy, good vibe days of the hippie era. It also shows the effects of too much of that wild living, and the path Dustin Morgan took to escape. Most of all, it is an adventure packed, light hearted tale of Woodstock, Haight Ashbury, draft dodging, pot smuggling, romance, and victory.